So the arrangement of “Trigonometry” (for LETTINGO) is down on paper. Literally; 7 pages of hand notated A3 staff paper. Getting to this point was an interesting process. Some Thoughts, Notes, Quotes, and Sketches. 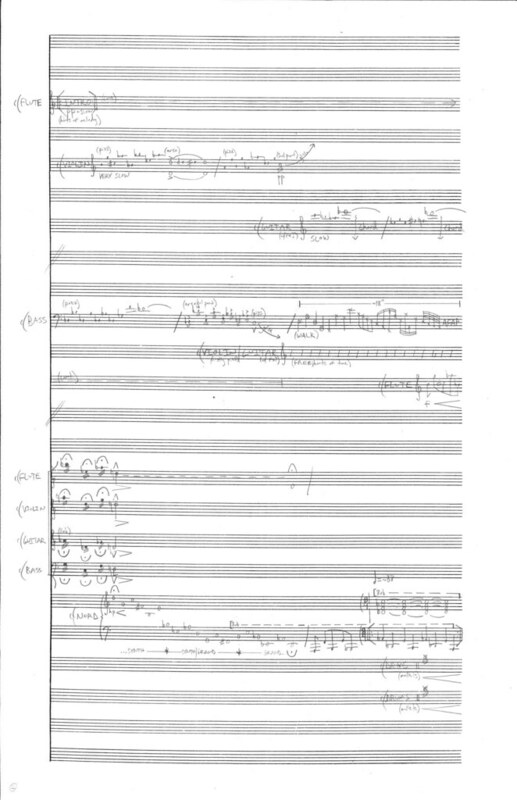 So now it’s time for music notation software… right…? So here’s something I’d like to talk about. It was our senior year at Boulder High. 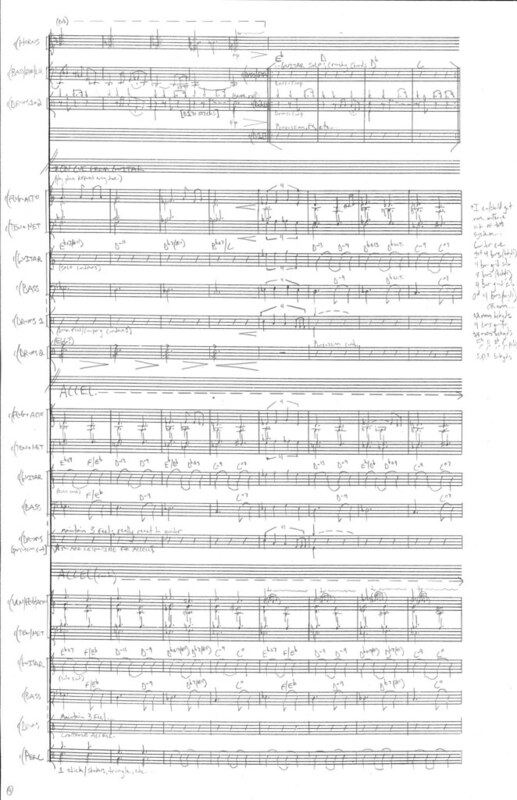 Matt Vorzimer and I were co-composing our first epic masterwork for the big band. We had countless “creative explosion sessions” and the chart was all down on paper. 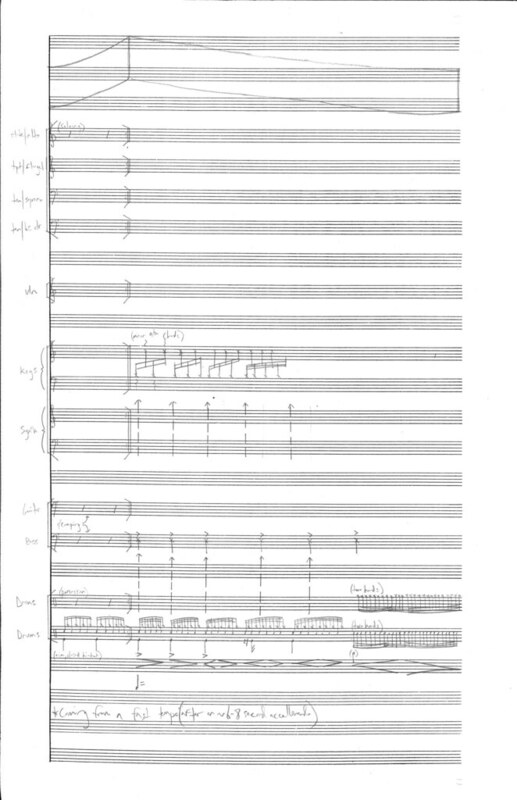 The best music teacher I’ve ever had thought it would be a good idea for us to put it into (one of the big two) notation software programs so that we could make the parts quicker and clearer. We literally spent hours in this stinky little room trying to put in the first 8 bars. Eventually we got so frustrated that we just said f*** it, and decided to hand write ALL of the parts. valuable time learning the ins and outs of early notation software-isms. What I do know is that the entire process was enough to change my life. 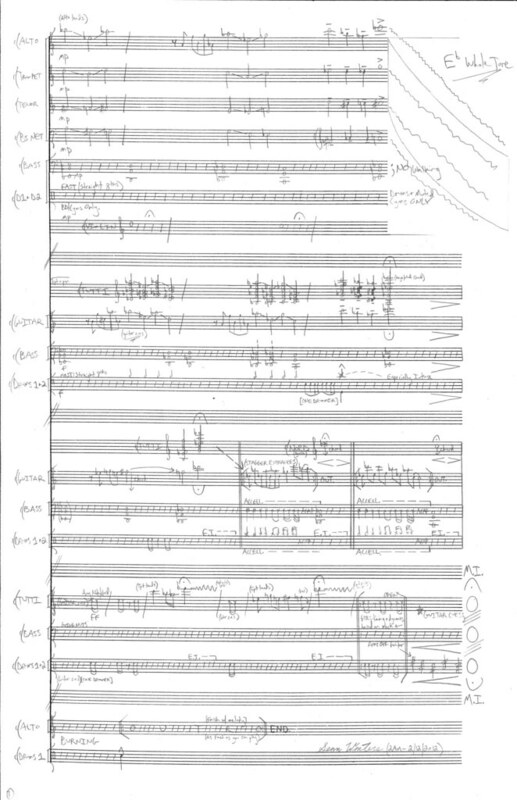 Now I’ve used my fair share of notation software. 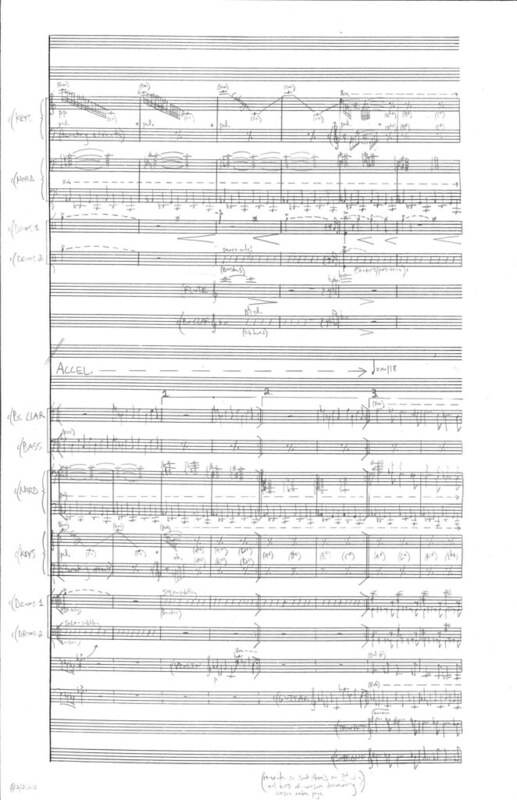 I’ve produced many breathtakingly clear scores, and had people ‘oohing’ and ‘aahing’ at my parts. But I’m realizing more and more, every single time, that something just gets lost. Turning all of that raw creativity into 1’s and 0’s has an effect. Some would say that this is ludicrous (and part of me agrees with them), but the other part knows better. 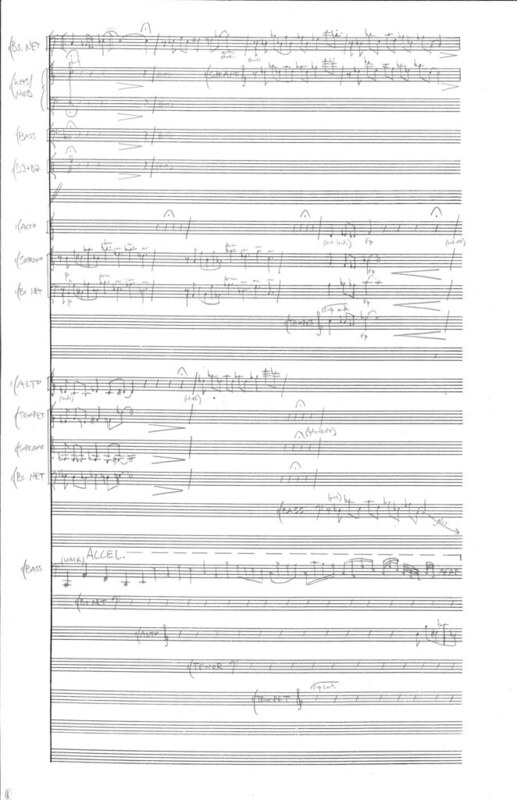 For this arrangement I WILL be using notation software. I’m actually using it as an opportunity to learn ‘the other’ one. But I don’t want young budding composer/arrangers to think that this is what they should be doing. 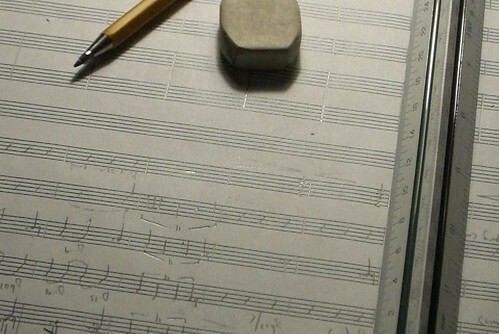 It always depends on context, but there always has been and always will be something to be said for HAND WRITTEN MUSIC. 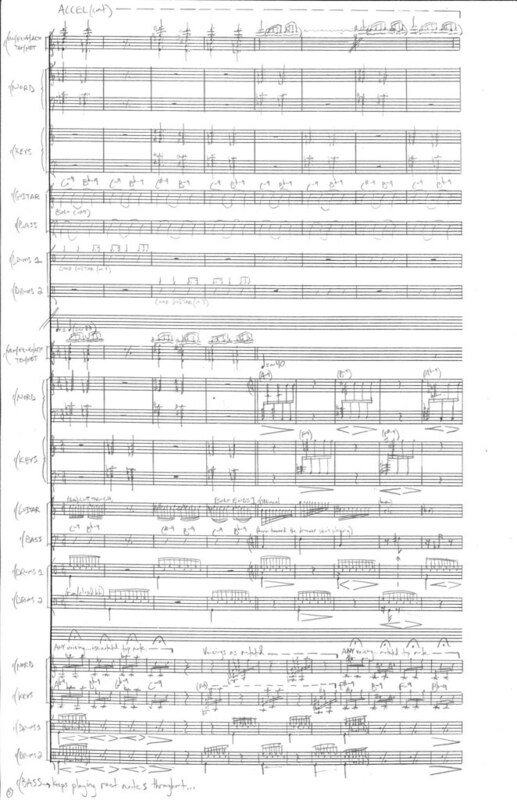 Did Beethoven use notation software for the 9th? Would he have if it was available!? Just like a carpenter spends his or her days with their hands on wood, so must a composer/arranger spend his or her days with their hands on music. BUT MUSIC IS NOT A PHYSICAL OBJECT. It’s usually just white paper with black dots. 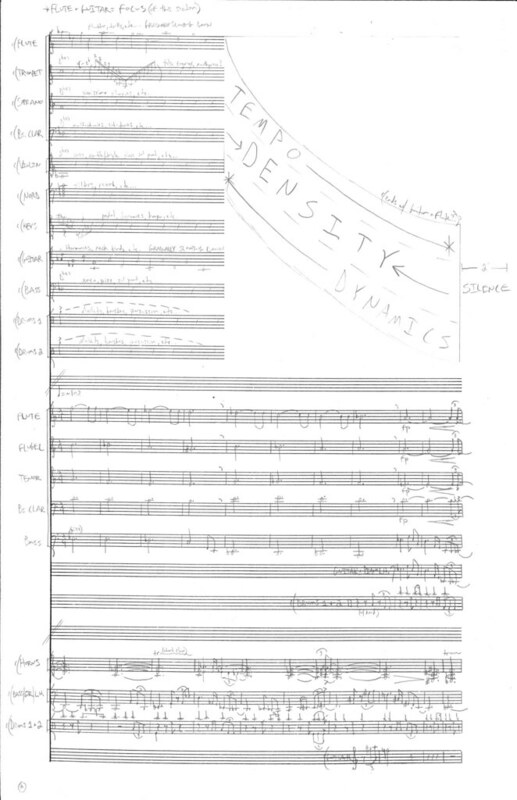 Maybe the process of composing/arranging is the closest music ever comes to really having mass? Of course music exists physically; sound is waves traveling through air. But right now, it’s LETTINGO. So music notation software here I come!!! I wonder if it will be as good (or better?) than the hand-written rough draft?